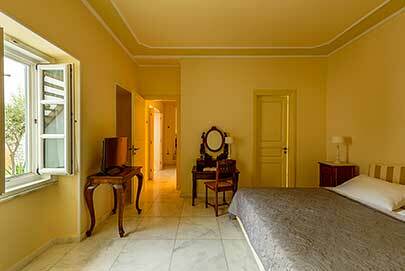 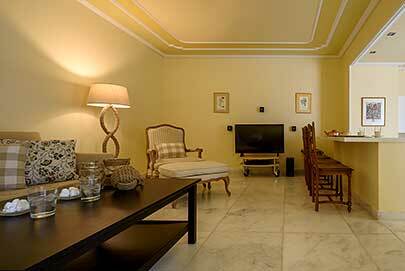 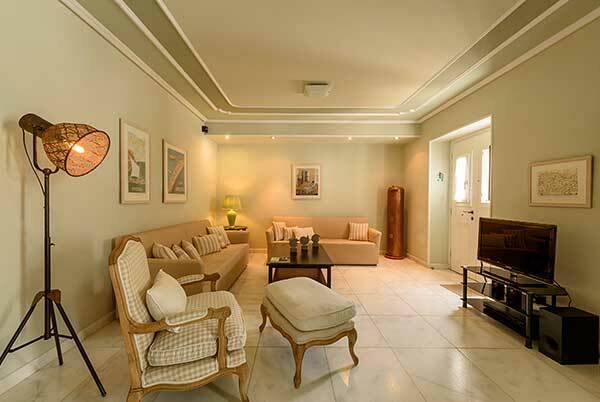 About 120 square meters (1,292 square feet), occupies the lower level of the house, sleeping up to 5 guests. 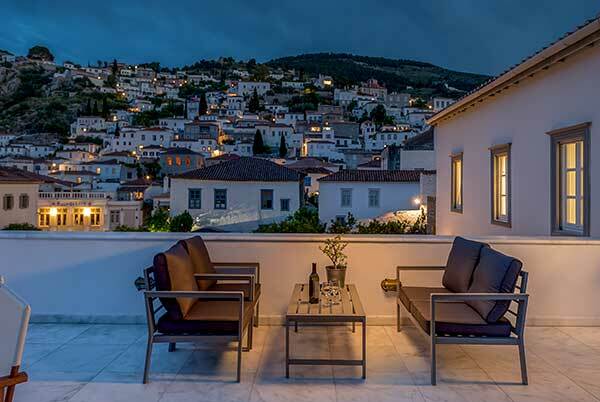 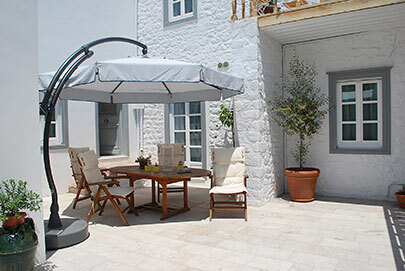 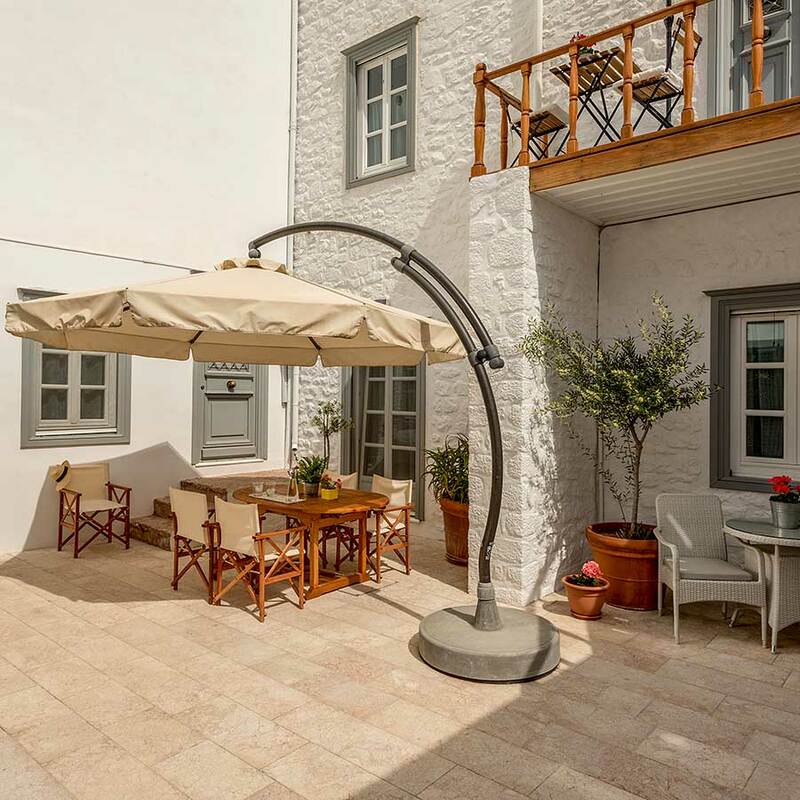 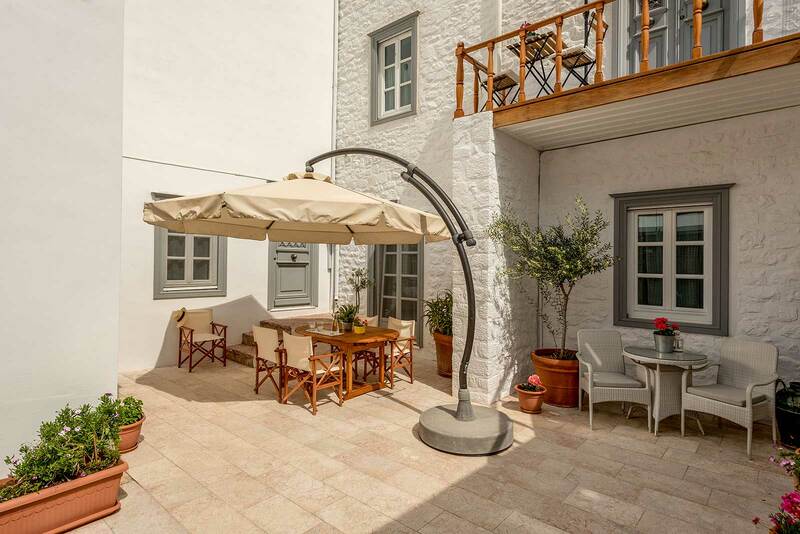 The apartment is built around a lovely courtyard (“avli”) paved with “Dokos Red” stones and rough marble, and planted with flowers, Greek fragrant herb shrubs such as lavender, thyme and jasmine as well as olive and lemon trees. 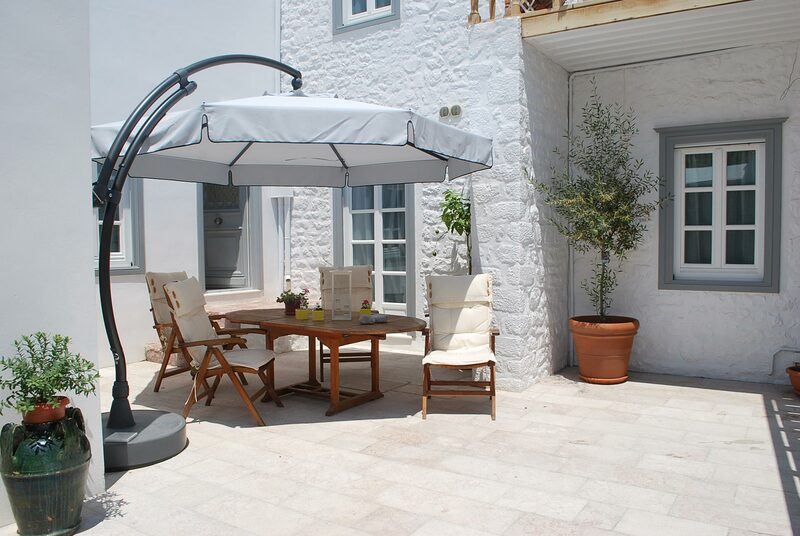 The courtyard is ideal for al fresco dining, as it is furnished with teak dining table seating up to 6 guests. 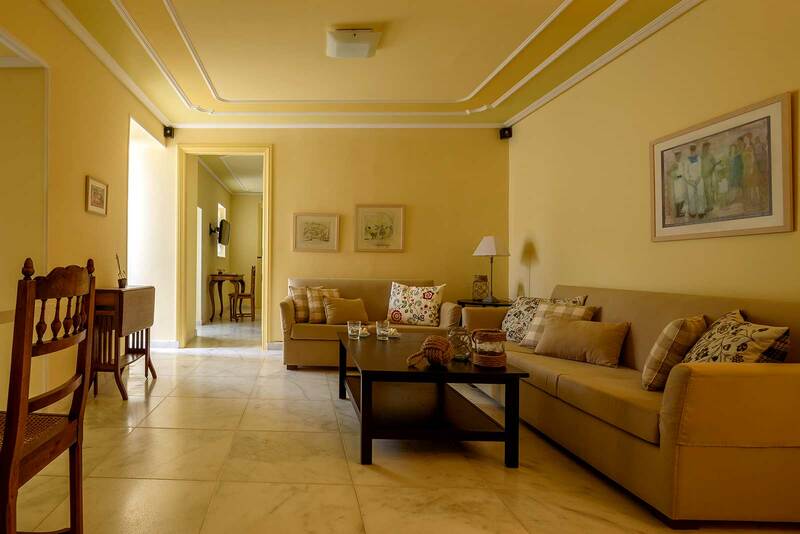 The interior has contemporary functionality with modern amenities, yet retaining island’s traditional style, subtly decorated in beige and touches of ochre and earth-tone colors in soft furnishing. 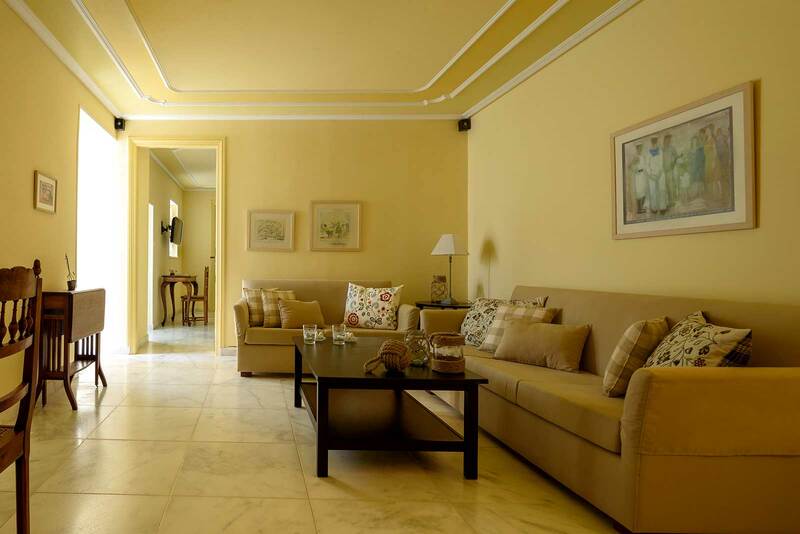 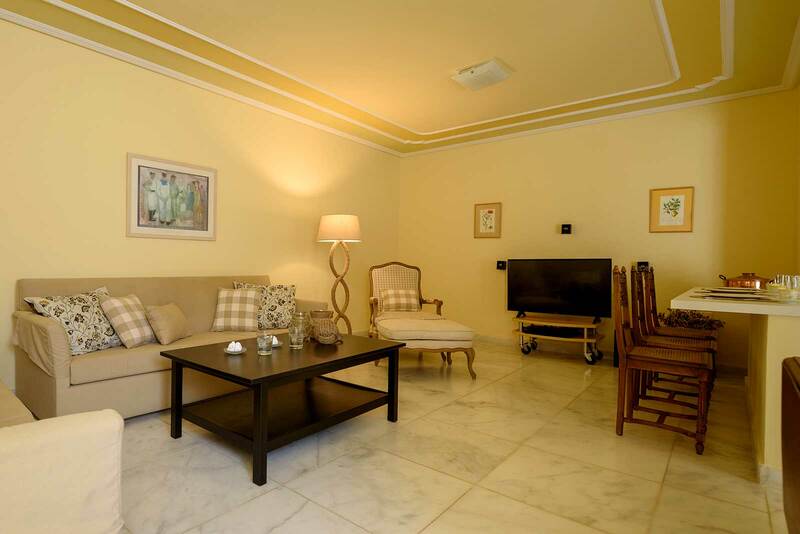 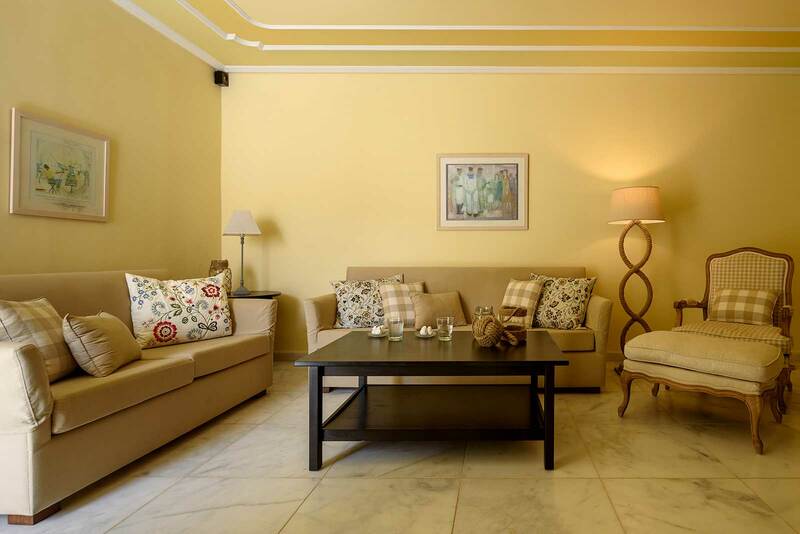 Entering the apartment, there is an open space living/dining area with comfortable sofas and armchairs, equipped with LCD TV (Satellite), DVD Player and sound system. 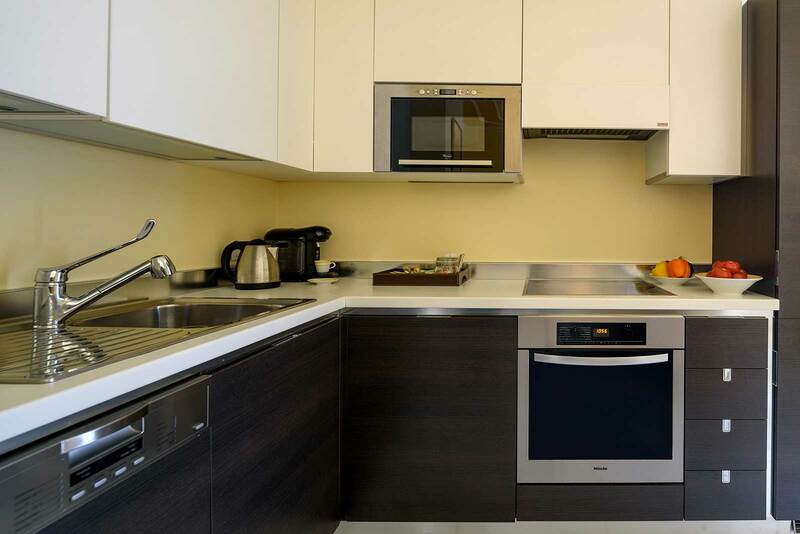 Descending two steps, there is a modern fitted kitchen fully equipped. 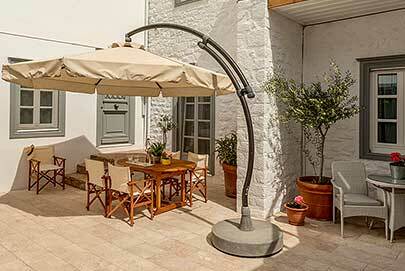 The kitchen has also access to the courtyard. 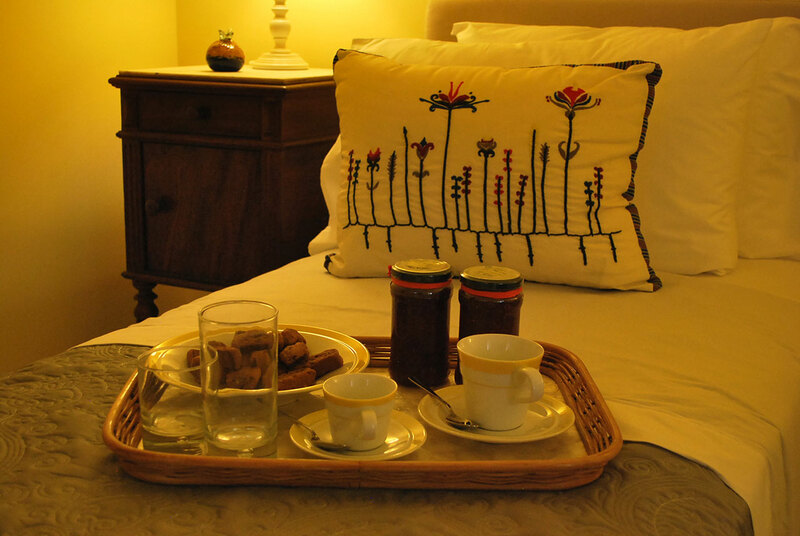 Next to the kitchen a small hallway, leads to the guest WC and to a spacious double bed bedroom, with ensuite bathroom with Jacuzzi shower facilities and French windows leading to the courtyard. 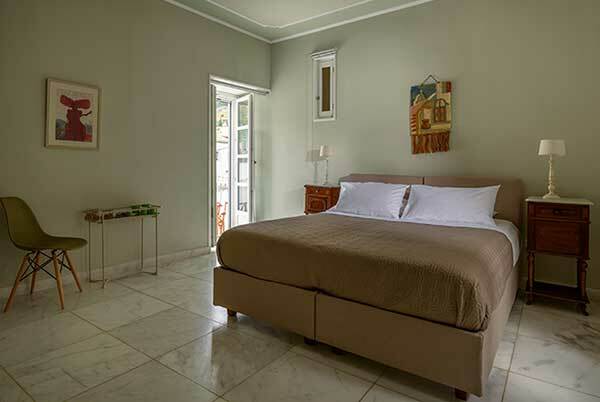 On the left hand side of the living room there is the second bedroom, with en-suite bathroom with Jacuzzi shower facilities and view to the courtyard as well. 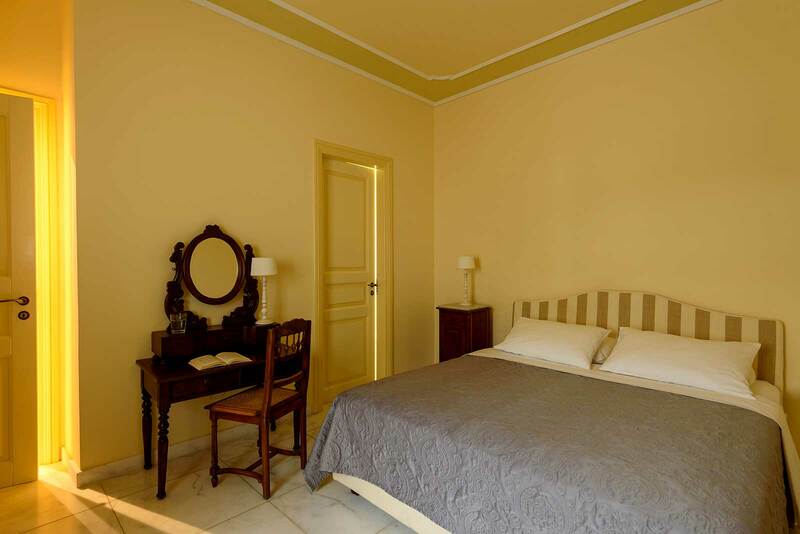 This bedroom has twin beds, which can be joined to a double bed by a special mattress topper. Ochre apartment is ideal for a family or a small group of friends.